-Co-authored manuscript on the global conservation status of turtles and tortoises published in Chelonian Conservation and Biology. -Four geographic distribution notes published in December issue of Herpetological Review: Acris gryllus (Hale Co., AL), Hyla avivoca (Hale Co., AL), Chrysemys dorsalis (Tishomingo Co., MS), and Hemidactylus turcicus (Jones Co., MS). -Chapter on Louisiana nonmigratory population of Whooping Crane reintroduction published in Whooping Cranes: Biology and Conservation (w/ co-authors S. King, S. Zimorski, and P. Vasseur). -Manuscript published on juvenile diamondback terrapin habitat use in the journal Herpetological Conservation and Biology. -Presented on Pearl River Graptemys research at the 16th Annual Symposium on the Conservation and Biology of Freshwater Turtles and Tortoises in Fort Worth, TX. -Three articles published about the environmental, flooding, and pollution concerns of the One Lake Project in Jackson, MS. The articles were entitled, One Lake Project Will Become 'One Trashy Lake' (Clarion Ledger), A Pearl of Great Price: The Value of a Flowing Pearl River in Jackson (Jackson Free Press), and The Big Flood of the Pearl, Not If, but When (Jackson Free Press). -Guest on the radio program, "Creature Comforts", on Mississippi Public Broadcasting to discuss turtles of Mississippi, wetlands, and the Pearl River. -Manuscript published on plastron pigmentation variation in diamondback terrapins (Malaclemys terrapin) in Louisiana in Herpetologica (with co-authors B. Reinke and S. Pearson). -Manuscript published on geographic, seasonal, and sexual variation in the diet of Graptemys flavimaculata in Copeia (with co-author P. Lindeman). Awarded the Richard A. Smith Award for Excellence in Scholarship or Creative Work for Millsaps College. Manuscript on 36 new county records for MS, LA, and TN published in Herpetological Review (with 15 undergraduates from Millsaps undergraduate herpetology). 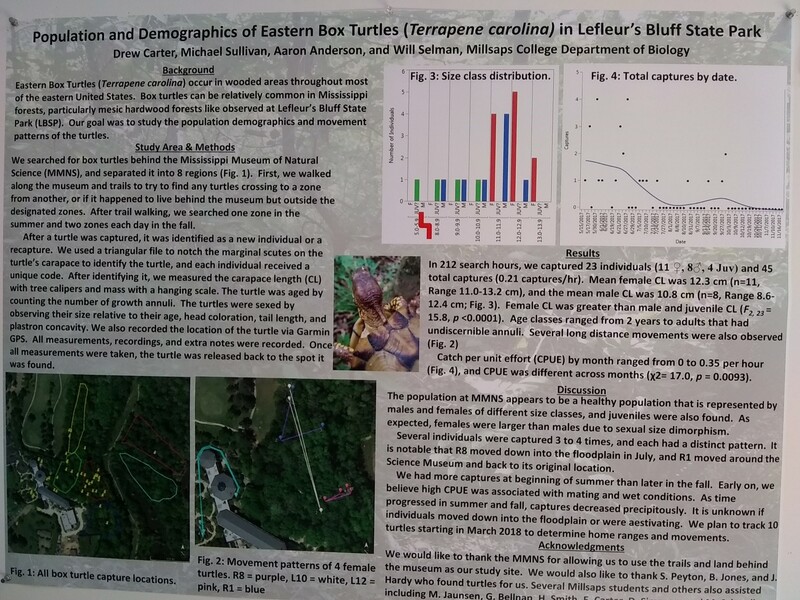 Millsaps undergraduate students Gracie Bellnap, Drew Carter, and Haley Smith presented posters on their turtle research at the 28th Annual Millsaps Student Science Research Symposium. -Manuscript on observations of juvenile diamondback terrapins (Malaclemys terrapin) in Louisiana accepted in Herpetological Conservation and Biology. -Manuscript on 36 new county records for MS, LA, and TN accepted in Herpetological Review (with 15 undergraduates from Millsaps undergraduate herpetology). -Co-authored manuscript on pigmentation variability in diamondback terrapins across coastal Louisiana accepted in Herpetologica (with B. Reinke, TX A&M and S. Pearson, LDWF). -Manuscript on geographic, seasonal, and sexual variation in the diet of Graptemys flavimaculata accepted for publication in Copeia (with co-author P. Lindeman). -Natural history note on shell abnormality and long-term site fidelity in Graptemys flavimaculata published in Herpetological Review. -Co-author natural history note on abnormal shell morphology and kyphoscoliosis in Trachemys scripta elegans published in Herpetological Review (with R. Elsey, D. Lejeune, and W. Strong, LDWF). -Co-author manuscript on Whooping Crane multiscale habitat use and movements in Louisiana wetlands published in Waterbirds (with B. Pickens, S. King, P. Vasseur, and S. Zimorski). 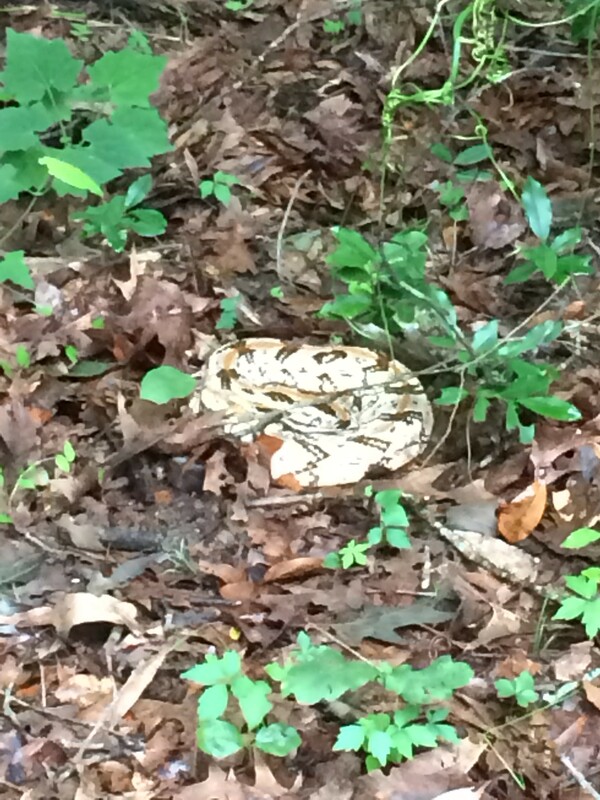 Millsaps senior and undergraduate research student, Michael Sullivan, documents first Timber Rattlesnake (Crotalus horridus) in Lefleur's Bluff State Park in Jackson, MS. Co-author paper on comparisons of reproductive assessment techniques in terrapins accepted for publication in Herpetological Review (with Jordan Donini and Roldan Valverde, Southeastern Louisiana University). -Selected to the Board of Directors for the American Turtle Observatory. -Co-author paper on ﻿Mottled Duck hybridization in the Western Gulf of Mexico ﻿published in The Condor: Ecological Applications (with Robert Ford and Sabrina Taylor, LSU). (UPDATE: The article was picked up as a popular science article in the New York Times). Presented two posters at the 15th Annual Symposium on the Conservation and Biology of Tortoises and Freshwater Turtles in Charleston, SC. Posters described the diet of the yellow-blotched map turtle (Graptemys flavimaculata) and another described current turtle research projects at Millsaps College. -Manuscript on scute variability in Graptemys flavimaculata published in Herpetologica. 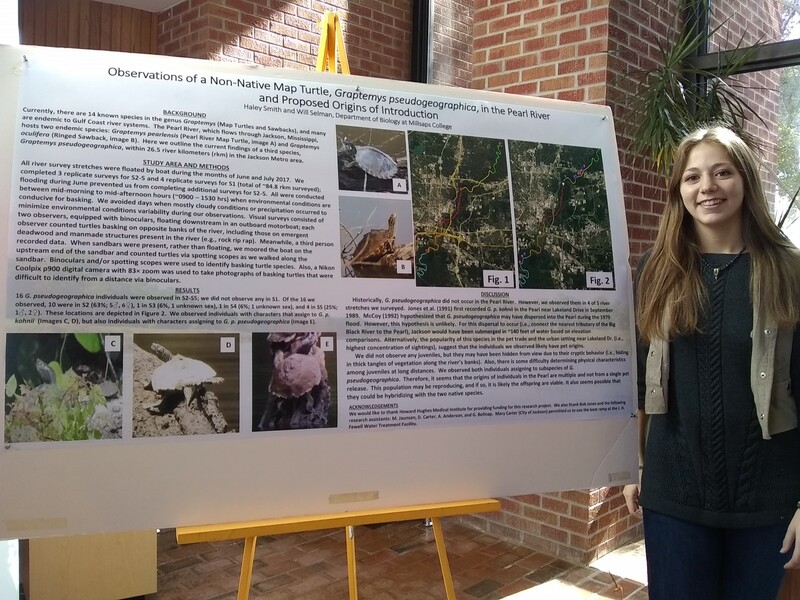 -Millsaps undergraduate Haley Smith begins Pearl River basking turtle surveys. 1) Co-author paper on Mottled Duck hybridization in the Western Gulf of Mexico in The Condor: Ecological Applications (with Robert Ford and Sabrina Taylor). -Panel guest to discuss the turtles of Mississippi on "Creature Comforts" radio talk show for Mississippi Public Broadcasting. 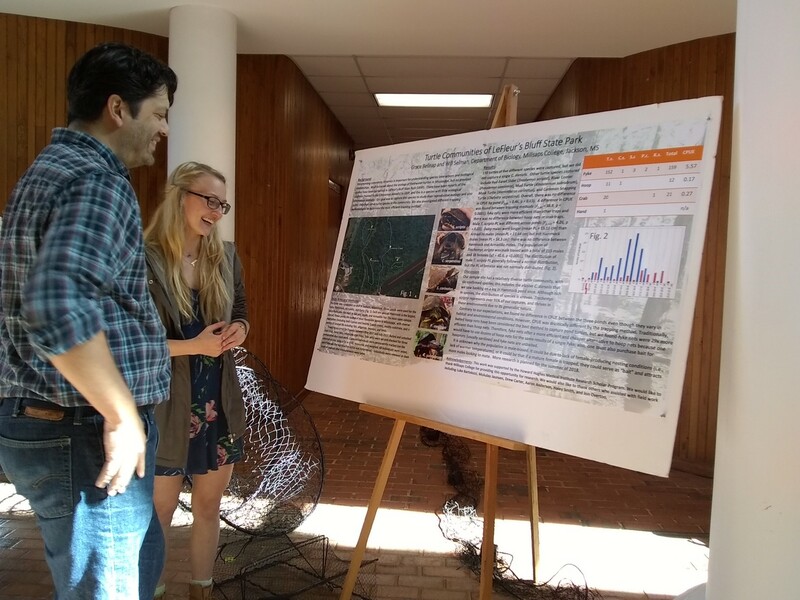 Millsaps undergraduates Gracie Bellnap and Drew Carter begin their summer research projects on turtles in the Pearl River bottomlands and box turtle ecology, respectively. Both of these projects are being conducted at Lefleur's Bluff State Park. -Featured in Jackson Free Press Article about the potential impacts of the One Lake Project on Pearl River wildlife and surrounding wetlands. -Selected as regional vice chair for North American Tortoise and Freshwater Turtle Specialist Group (TFTSG). -Manuscript accepted in the journal Herpetologica on scute variability in Graptemys flavimaculata. -Millsaps undergraduate students Haley Smith and Gracie Bellnap received HHMI Research Fellowships for summer 2017. Haley will be surveying Graptemys oculifera in the Pearl River, and Gracie will be investigating Chrysemys dorsalis reproduction. Presented "Rabbit Island: Wildlife Paradise or Paradise Lost?" for the Baton Rouge Audubon Society. ​​- Notes published in Herpetological Review on American Alligator diet and a new distributional record for the Pearl Map turtle. -Paper published in Southeastern Naturalist on Ground Skink commensal nesting in American Alligator nests and Muskrat houses in southwestern Louisiana. -Collaborative research on Reddish Egret habitat use and prey items highlighted in Cameron LNG newsletter. ​-Presented on the population status of Pearl River Graptemys species at the Mississippi Amphibian and Reptile Research Symposium. -Florida Softshell geographic distribution note published in Herpetological Review. This is the first documentation of the species in the state of Louisiana apparently due to accidental release. -Began faculty position at Millsaps College in the Biology Department. -Presented on conservation planning for Diamondback Terrapins along the Gulf Coast and Observations of Juvenile Diamondback Terrapin Habitat Use at the 14th Annual Symposium on the Conservation and Biology of Tortoises and Freshwater Turtles. -Paper accepted for publication in Southeastern Naturalist describing Little Brown Skink nesting ecology in Alligator nests and Muskrat houses. -Co-authored paper published in Copeia on habitat-related variation in body size and reproduction in Sabine Map turtles. -Conducted field work in southwestern Louisiana for diamondback terrapins and Reddish Egrets. -Paper published in Waterbirds on long-term population and colony dynamics of Brown Pelicans in coastal Louisiana. -Presented a poster on terrapin reproduction at the Southeast Partners in Amphibian and Reptile Annual Meeting in Nauvoo, Alabama. -Presented on the life history and ecology of Graptemys gibbonsi (Pascagoula River Map turtle) at Southeastern Louisiana University Biology Seminar Series. -Co-authored paper published in Copeia on the population genetics of the ringed sawback in the Pearl River system. -Co-authored note published in Herpetological Review on Western Ribbon Snake arboreal behavior. -Paper accepted in Waterbirds on long-term colony dynamics of brown pelicans in rapidly changing coastal Louisiana. -Note published in Herpetological Review on a new parish record for Green Sea Turtles. -Paper published in Herpetological Conservation and Biology on the life history and ecology of the Pascagoula Map Turtle. -Co-authored paper accepted in Copeia on Sabine Map turtle habitat-related variation in body size and reproductive output. -Paper published in Southeastern Naturalist describing the herpetofaunal diversity in a remnant coastal chenier forest. -Presented a poster and a talk at the 13th Annual Symposium on Conservation and Biology of Freshwater Turtles and Tortoises, Tucson, AZ. -Co-author on three presentations (two student talks) at 13th Annual Symposium in Tucson, AZ. -Paper published in Herpetological Review describing eye and chin pattern variation of False Map turtles in SW Louisiana (with P. Lindeman). -Paper Published in Conservation Genetics on the population genetics of terrapins in Louisiana. 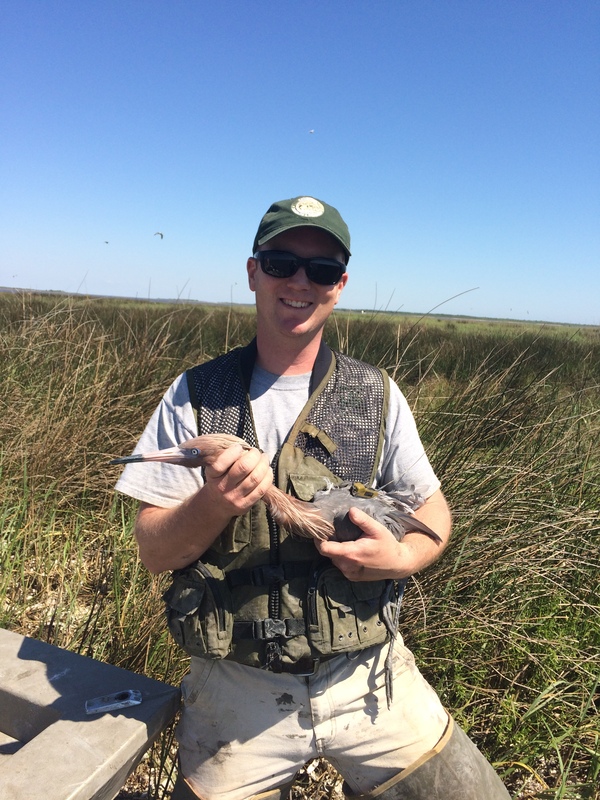 -Paper published in The Wilson Journal of Ornithology describing the first nesting records for American Oystercatchers and Reddish Egrets in southwestern Louisiana, with implications for dredge spoil island management. 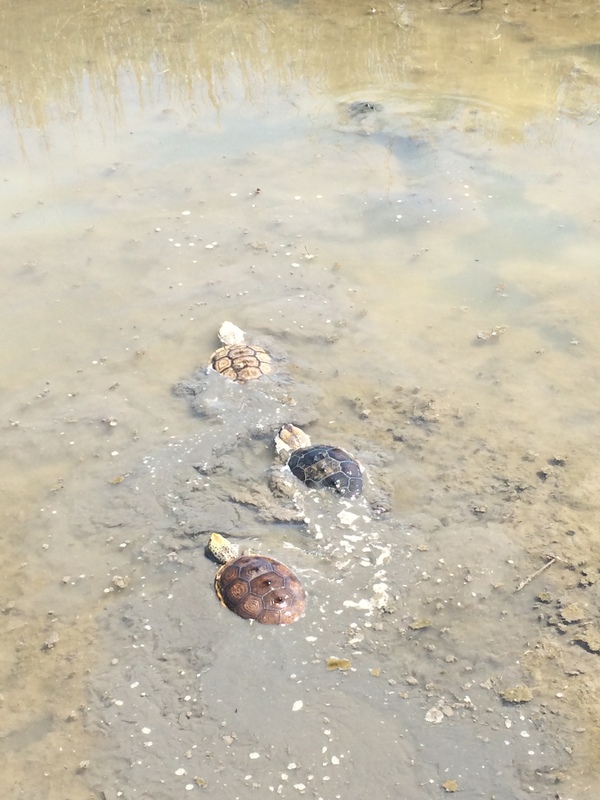 - Sampled two sites in southwestern Louisiana for long-term terrapin research on population structure and demography, as well as reproductive studies. - Hosted Jordan Donini (Southeastern Louisiana University) to assist with his Master's Thesis research on terrapin reproductive physiology. Four manuscripts accepted for publication including herpetofauanl community of coastal chenier forests (Southeastern Naturalist), conservation genetics of ringed sawbacks (with D. Gaillard et al., Copeia), phenotypic variation of False Map turtles in the Calcasieu River system (with P. Lindeman et al., Herpetological Review), and population genetics of terrapins in Louisiana (with C. Petre et al., Conservation Genetics). Two Natural History Notes published in Herpetological Review, with one on turtles basking on Whooping Crane nests and the other was kyphosis in Sabine Map Turtles. Two distribution notes published in Herpetological Review. -Rev. of The Map Turtle and Sawback Atlas: Ecology, Evolution, Distribution, and Conservation by P.V. Lindeman. Copeia. -Distribution and Abundance of Diamondback Terrapins (Malaclemys terrapin) in southwestern Louisiana. Chelonian Conservation and Biology. -Rockefeller Mottled Duck banding featured in October 2014 issue of American Waterfowler.